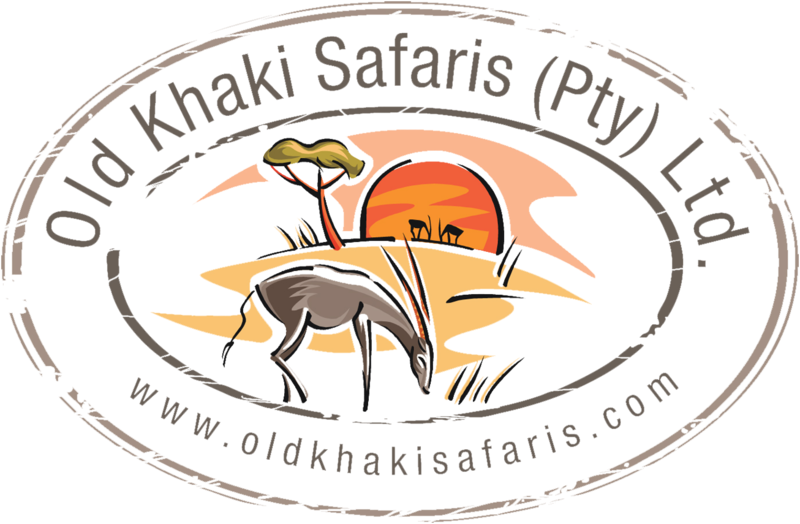 IF TRADITIONAL and CLASSICAL SAFARIS ARE FOR YOU;THEN Old Khaki Safaris is the adventure SAFARI for you! It is a pleasure to introduce to you Old Khaki Safaris (Pty) Ltd, an African Safari tour operator based in South Africa with a 19 year track record of providing quality tours and excellent service. Our safari packages cover mainly Safari destinations in Botswana and surrounding countries, namely, Namibia, Mozambique, Zambia, Zimbabwe and now Angola (new). Cape to Cairo overland excursions are undertaking as well … Please enquire. To ensure all trips are personalized, we try to limit the maximum number of persons per tour to six but more may be accommodated on request. One guide per three persons will accompany the safari which will be tailored to accommodate your individual needs. Absolute Private Trips are one of the reason OKS has been so successful. We cater for the single, couples or group of friends or families and Corporate Companies that require PRIVACY – you will never share your Safari Experience with Strangers. It allows one more freedom to change schedules, routes or absolute freedom in length of time at a particular Game / Bird / Sight viewing opportunity. Camping Safari in the heart of the delta, Camping safaris include: participation safaris; semi-participation safaris; or none. In general, camping safaris are mobile, overland safaris that traverse the more remote and rugged regions of Africa. Very often, but not always, camping sites are serviced and a safari camp in the wilderness has basic, ablution facilities (showers / flush toilets). However, we are well-equipped and have refined our operations to create relatively comfortable experiences.Comfort and luxury are generally proportional to price. Fully-serviced or luxury safaris and fly-in safaris are available on request. Camping safaris are a means of experiencing the real Africa, close to the bush, the soil and the wildlife. We have dedicated individuals who are professionals in their own rights, ever ready to discuss your travel needs/requirements and expectations to ensure total customer satisfaction. This will be in luxury closed air conditioned 4×4 Toyota Land Cruisers. All guides are English speaking, mechanical and 4×4 driver qualified, first aid certified, and ready to take on any challenge to make your holiday / safari experience in Africa memorable. Copyright © Old Khaki Safaris | Powered by SimpleCloud. All rights reserved.